We are backing the Brewers! Congrats to our first free Kane offer claimant! 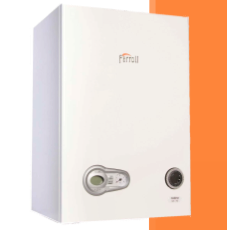 The new high efficiency condensing Modena HE combi boiler makes an ideal replacement for the earlier non-condensing Modena 80E or 102 models, without any need to alter the existing flue position and only minor changes to the pipework. The new Modena HE is smaller, weighs less, has built-in frost protection and an IP protection rating of IPX5D, which allows for direct replacement wherever the existing boiler is legitimately installed. The flue outlet connection on the new Modena HE is centrally aligned so it’s completely compatible with the earlier Modena 102. The flue connection on the Modena 80E is to the left of centre but provided there is a minimum clearance of 15mm to the left of the existing boiler, no alteration to the existing flue position is necessary. The electrical connection remains the same, with all models being supplied with a factory fitted three core fly lead to provide a permanent live connection and all models use the same volt free contact for any external system controls. Although the position of the pipework connections differs slightly, the configuration remains the same so only limited alterations are required. This guide refers to the fitting of a replacement boiler with a standard horizontal flue application only. Minor adjustments may be necessary for other flue applications, which are explained in the boiler installation instructions. Click here for the full guide.